in 1998 I bought a small piece of Texas. 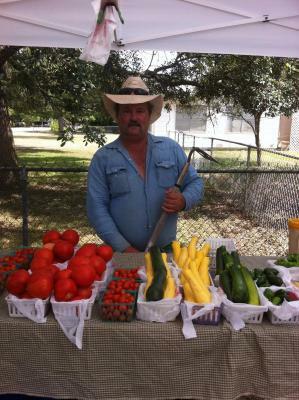 The Farm is located a little south of Seguin, Texas. Over the years we have grown a large variety of mixed vegetables. Built a State/FDA inspected commercial kitchen and developed a line of canned products under the brand name of McircleM Canning Company. Also offer Baked Breads. We now have 4 hoop house operating Hydroponic Systems with 3 more in the construction stages. By Appointment Only at the Farm. Also U-Pick appointments Available. With a large order and within a reasonable distance. Pre-delivery agreement. Possible cost for delivery.